Empower people across your organisation to discover predictive insights, take informed actions, and improve customer experiences leveraging the power of AI. Harnesses the power of data across your organisation for a unified view of your customers, products, and people. Make data-driven decisions based on out-of-the box, AI-powered intelligence that turns data into insights and insights into action. Predict trends, uncover new opportunities, and scale as your business grows. 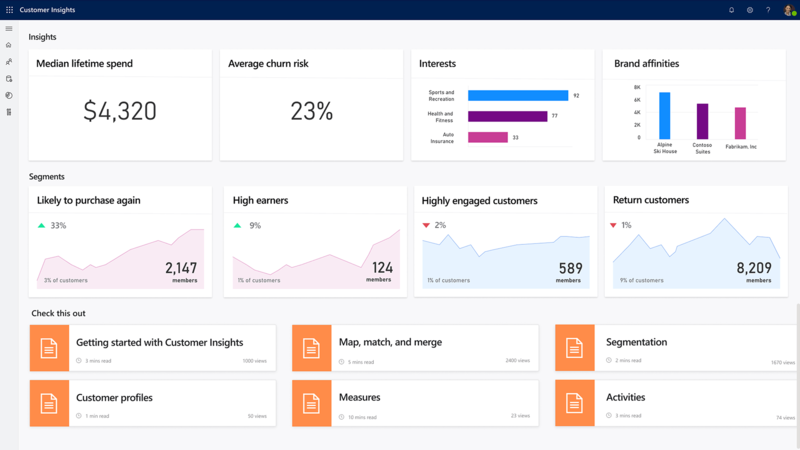 Increase sales and improve decision making with AI-powered insights fueled by customer data. Optimise your support operations and create better customer service experiences. Gain a 360-degree view of customers and discover insights that drive personalised customer experiences.